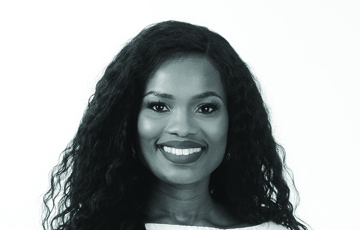 Zama is a fund manager at the National Empowerment Fund (NEF) and is in charge of uMnotho Fund which funds acquisitions, new ventures, and expansions. She also oversees the NEF’s Women Empowerment Fund. Her work experience has been mainly in development finance, which started with vigorous training at the IDC’s deal-maker academy. Prior to that, she was an audit manager within KPMG’s Information and Consumer Markets business unit. As President of the AWCA, she lives out her passion to develop others. She’s been extensively involved in AWCA’s initiatives such as the Bursary Committee, School Visits Programme, Mentorship Programme, and APC Preparatory Workshops. She was awarded the AWCA President’s Ambassador Award in 2011. Her list of accolades includes being selected as a Top 3 finalist in the ELLEBoss competition in 2016. She is a member of the BRICS Business Council-Financial Services Working Group, where she is leading South Africa’s SME strategy and mobilising support for the strategy by the other BRICS nations. Having seen first-hand the extent of the benefits of education, her role as a member of UCT’s Audit Committee stands out on the boards and committees that she is a part of. She has mentored a number of youngsters under CareerBuild, CAMPaign for Girls, and in her personal capacity. She is a founding member of ‘Uplift as we climb’, an annual project that facilitates charity drives in Diepsloot.